RubyConf China 2010 will be held on June 26th at Shanghai Television University (228 Guoshun Road, cross Yangpu Road) (上海电视大学，国顺路288号). 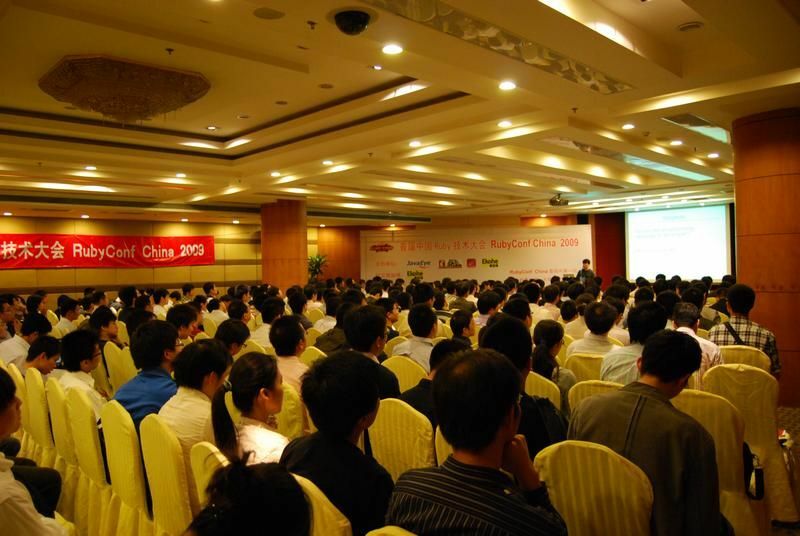 Last year RubyConf China was held very successfully with 450 attendees. Ruby’s father Matz was treated like a superstar with lots of autograph and photograph requests. This year, some of the talks will be done in English as contrary to last year’s Chinese only presentations. They hope for more International audiences this year. This event will be not only a great opportunity to spread Ruby technology to Chinese audiences, but also a great chance to meet with fellow techies in China. They are still accepting talk proposal until end of May. Disclosure: I (Shunichi Arai) am a speaker and a financial sponsor of RubyConf China 2010.